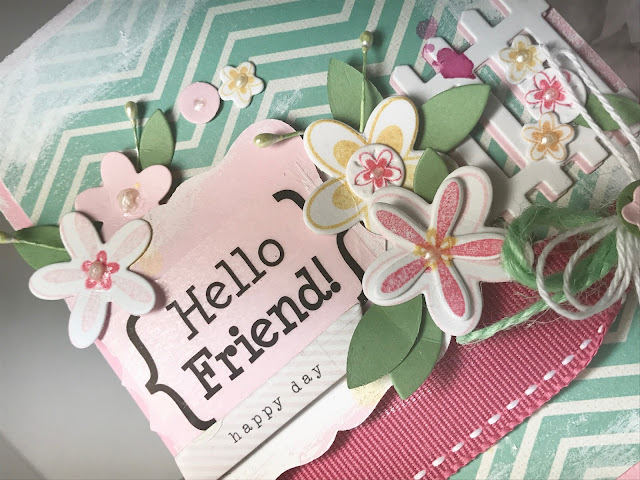 I continue to fine tune what living with less means to me, but as far as my cards, layouts, and papercrafting is concerned...more is still perfect! I have pared down my crafty stash, although another big purge is planned for next month, my favorites are staying! SRM everything, my silhouette, Verve stamps, and Stampin'Up! inks and papers!!!! 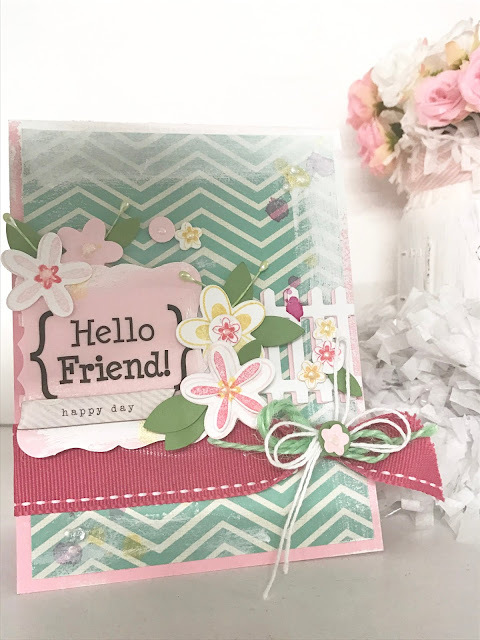 I inked up a sizzix stamp set and matching dies that has been ignored for a long time, it really is so cute, I had fun just stamping and cutting flowers by the dozens, and I really should use my stamps more, I mean I LOVE to stamp!!!! 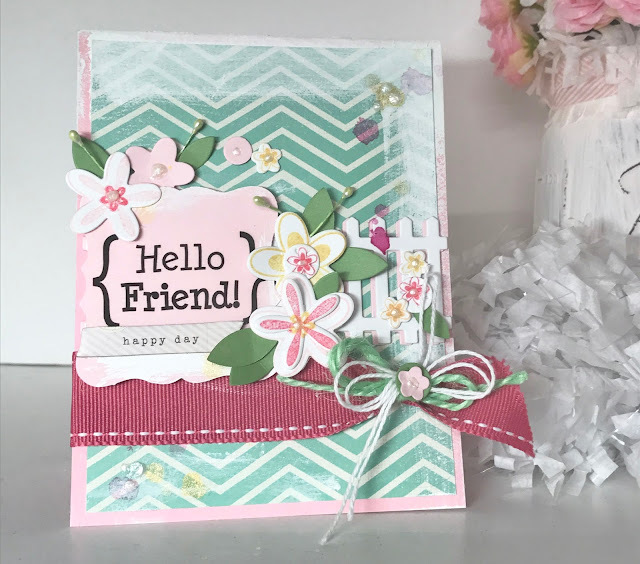 I used the SRM shape die and sticker to add a sweet sentiment. And that adorable bow is made with a brand new product called mint jute twine it reminds me of a sweet dessert, it's color is just delicious!!! !